The government says it will propose an "innovative and untested approach" to customs checks as part of its Brexit negotiations. The model, one of two being put forward in a newly-published paper, would mean no customs checks at UK-EU borders. The UK's alternative proposal - a more efficient system of border checks - would involve "an increase in administration", it admits. A key EU figure said the idea of "invisible borders" was a "fantasy". On Twitter, Guy Verhofstadt, the European Parliament's negotiator, added that other issues had to be agreed before negotiations on trade could begin - views echoed by the EU's overall chief negotiator, Michel Barnier. Analysis: Is UK leaving the customs union? The UK has already said it will leave the customs union - the EU's tariff-free trading area - after Brexit, and businesses have been calling for clarity on what the replacement system will involve. The UK's proposals, detailed in what it calls a "future partnership paper", also include the possibility of a "temporary customs union" after the UK leaves the EU in March 2019 to avoid a "cliff-edge" for business as they adapt to the new arrangements. Countries in the customs union don't impose tariffs - taxes on imports - on each other's goods. Every country inside the union levies the same tariffs on imports from abroad. So, for example, a 10% tariff is imposed on some cars imported from outside the customs union, while 7.5% is imposed on roasted coffee. Other goods - such as soap or slate - have no tariffs. The UK has said it is leaving the EU's customs union because as a member it is unable to strike trade deals with other countries. According to the new paper, the UK could ask Brussels to establish a "temporary customs union" after it leaves the EU in March 2019. But during this period, it would also expect to be able to negotiate its own international trade deals - something it cannot do as an EU customs union member. Ministers said the use of interim arrangements would mean businesses would only have to adjust once to the new arrangements. Once this period expires, the UK will look to agree either a "highly streamlined" border with the EU, or a new "partnership" with no customs border at all. The "partnership" arrangement would be an "innovative and untested approach" which would remove the need for any customs checks between the UK and the EU. This would be because the UK's regime would "align precisely" with the EU's, for goods that will be consumed in the EU. However, the UK would continue to operate its own checks on goods coming from outside the EU - and the government said safeguards would be needed to prevent goods entering the EU that had not complied with its rules. These could include a repayment mechanism, which would see importers to the UK pay whichever is the higher tariff, Britain's or the EU's, and then face having to claim money back if their goods were sold to a customer in the region with a lower tariff. An alternative scenario the government is proposing would involve the UK extending customs checks to EU arrivals - but under a "highly streamlined arrangement" to minimise disruption at ports and airports. 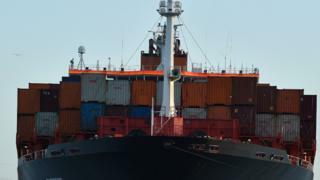 It said it would seek to make the existing system of customs checks "even more efficient", for example using number plate recognition technology at ports, which could be linked to customs declarations for what the vehicles are carrying, meaning the vehicles do not have to be manually stopped and checked. The UK would also allow some traders to do self assessment, calculating their own customs duties. However, the government acknowledged this option would still involve "an increase in administration" compared with being in the existing customs union. All of this will have to be negotiated with the EU - and the two sides have not yet even started discussing trade matters. Other obstacles - including the size of the UK's "divorce bill" - need to be agreed first. The government will also set up its own "standalone" system in the event of no deal being reached, which would involve charging customs duty and VAT on imports from the EU, although it says it is keen to avoid this scenario. Previous estimates by HMRC have predicted a sudden increase in the number of customs declarations after Brexit - subject to any new arrangements agreed with the EU - from a maximum of 55 million to 255 million per year. Can technology offer frictionless borders? Media captionDavid Davis tells Today Brexit is going "incredibly well"
David Davis, Secretary of State for Exiting the European Union, said he envisioned the interim customs system being "as close as we can to the current arrangements", but with the UK able to negotiate and sign its own international trade deals. Speaking on BBC Radio 4's Today programme, he did not rule out the UK paying to be part of the arrangement, saying he was not going to conduct negotiations on air. And he said he did not believe the European Court of Justice would be the arbiter of the temporary arrangement, adding that the government would publish proposals on "international arbitration" next week. Mr Davis said the transition period should be "something like two years, maybe a bit shorter" but that it had "to be done by the election", meaning 2022 at the latest. These proposals are designed to demonstrate unity - after reported cabinet splits - and show the government has a plan in place. Chancellor Philip Hammond has got his way in seeking an interim customs arrangement as much like the status quo as possible. And Liam Fox could potentially win the right to negotiate international trade deals during the transition period. But this is about much more than domestic political battles - it's about whether the UK can succeed in getting Brussels negotiators to talk about trade at the same time as the so-called divorce arrangements, something they have steadfastly refused to do so far. The EU is also working on a position paper on the customs union. Its chief negotiator, Michel Barnier, tweeted that customs could not be discussed until the Irish border, citizens' rights and the UK's separation payment had been settled. 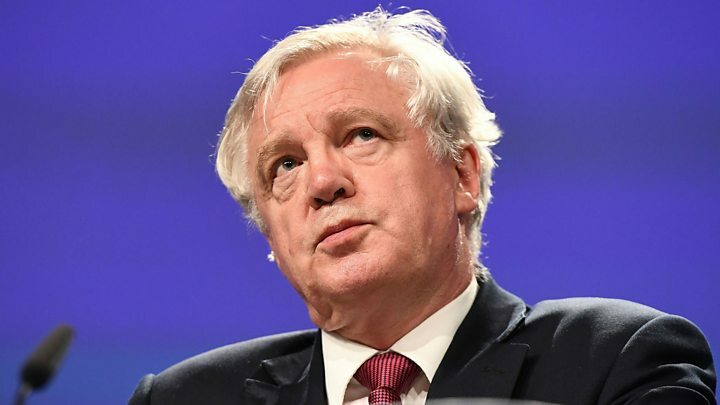 A European Commission spokesman added: "As Michel Barnier has said on several occasions, 'frictionless trade' is not possible outside the single market and customs union." Sir Keir Starmer, Labour's shadow Brexit secretary, said the proposals were "incoherent and inadequate" and were designed to "gloss over deep and continuing divisions within the cabinet". But his party also faced questions on its position. 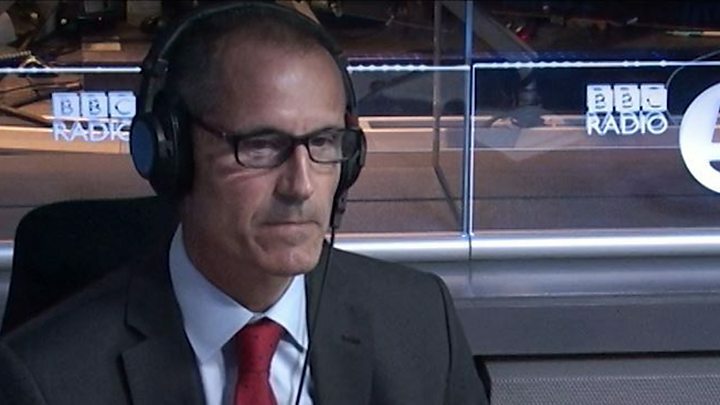 Speaking to Emma Barnett on BBC Radio 5 live, shadow international trade minister Bill Esterson would not say whether Labour would remain in the customs union after March 2019. Asked repeatedly, he said Labour would seek "the same relationship that we have now". "The detail of whether it's defined as being membership or not isn't the point," he added. Media captionShadow International Trade Minister asked five times about leaving customs union. Scotland's first minister Nicola Sturgeon accused the UK of a "daft have cake and eat it" approach. Pro-EU Conservative MP Anna Soubry said ministers were "moving in the right direction" with their proposals for an interim arrangement. But she said they should admit that "no new agreement with the EU can fully replace the benefits of customs union membership". Liberal Democrat leader Sir Vince Cable accused ministers of "kicking the can down the road" and argued for staying in the customs union. But the CBI, which represents British businesses, said the proposal was "encouraging". Its deputy director general, Josh Hardie, added: "The clock is ticking and what matters now is giving companies the confidence to continue investing as quickly as possible." Adam Marshall, director general of the British Chambers of Commerce, said most businesses were more concerned about future customs arrangements with the EU than future trade deals. "In the long term, we should aim to avoid imports and exports being subjected to two sets of customs checks, and to ensuring the smoothest possible future trade relationship between the UK and EU." 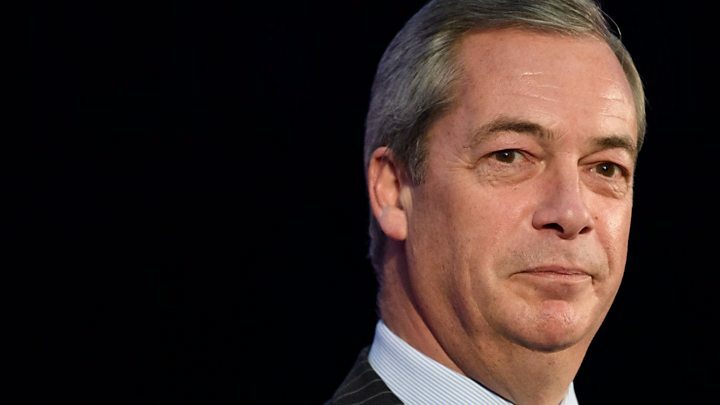 MEP and former UKIP leader Nigel Farage attacked the government's proposals. "We might find ourselves 10 years down the road from Brexit having not got what we wanted," he said. "There's no doubt that during this transitional period, the free movement of people will continue, the European Court of Justice will go on having judgements over British business and, of course, we'll go on paying a membership fee. "None of those three things are acceptable to Brexit voters in any way at all."